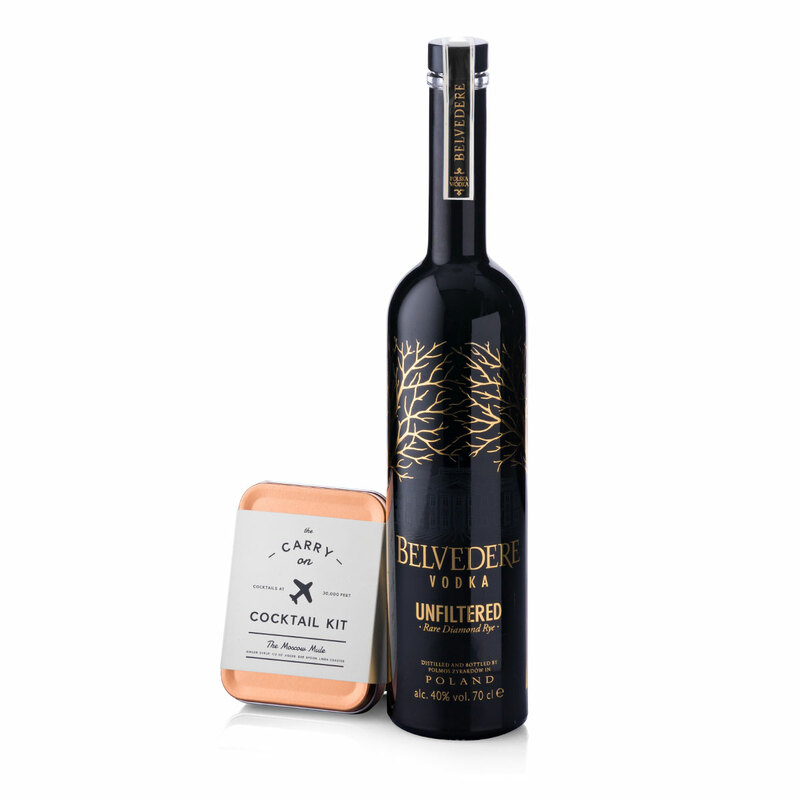 A truly distinctive gift awaits in this pairing of Belvedere Vodka and the Men's Society Cocktail Kit for Moscow Mules. 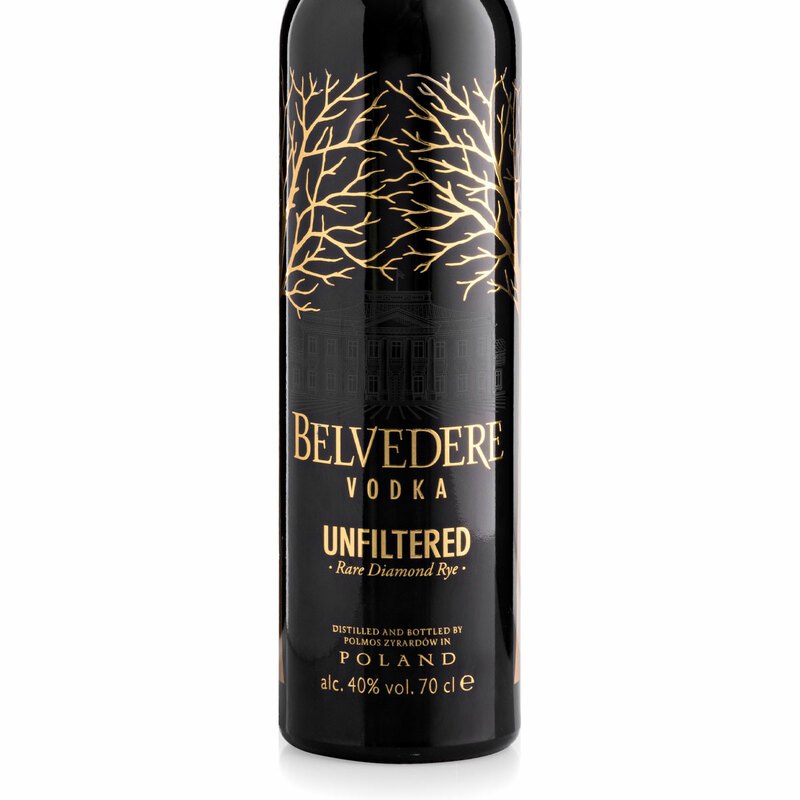 Belvedere is an exceptional vodka known as "The Whiskey Drinker's Vodka". Quadruple distilled from Dankowskie Diamond Rye, it is a smooth, unfiltered vodka with a silky soft texture, elegant mouth feel, and an impressive expression of the rye. 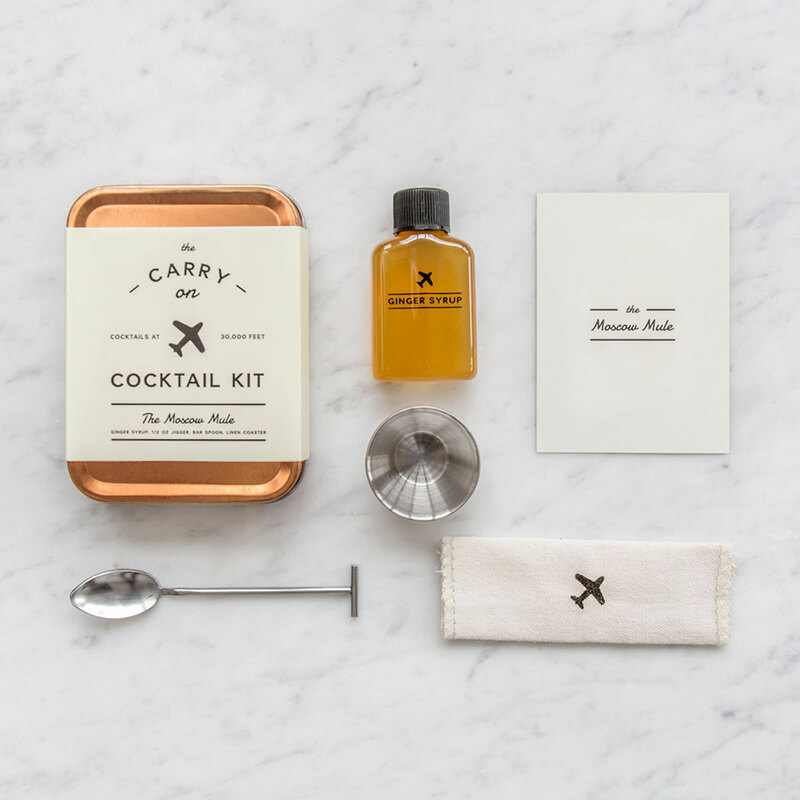 The Men's Society Carry On Cocktail Kit includes everything you need to mix up two Moscow Mules wherever your travels may take you. 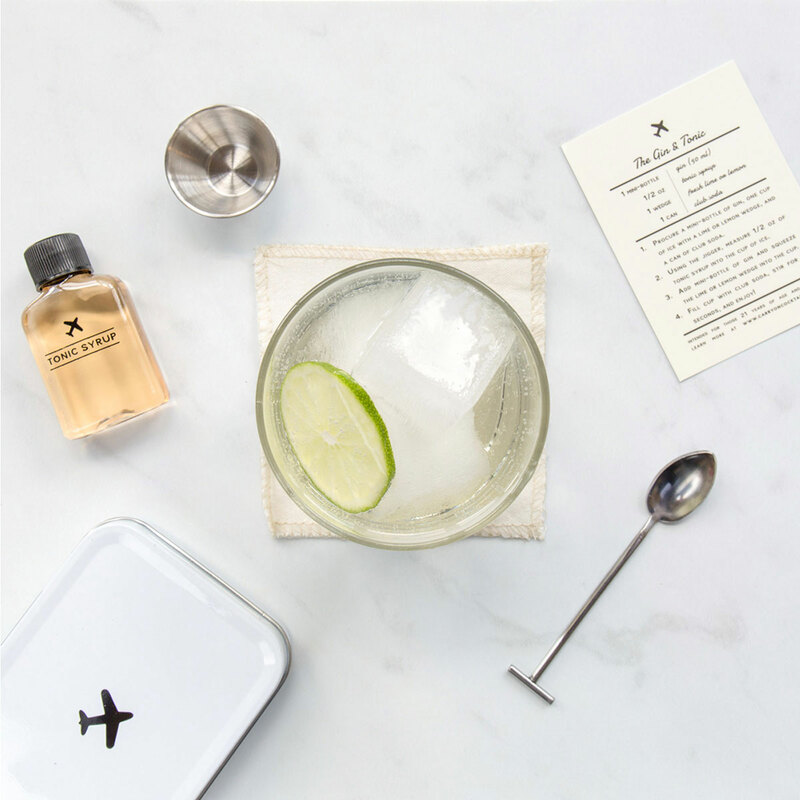 Inside the handsome tin are tonic syrup, a jigger, a bar spoon, a linen coaster, and a recipe for making the perfect Moscow Mule. This vodka and cocktail kit is a unique gift idea for anyone who enjoys stylish design and the best cocktails. Intense aromas of sea air, baked bread, and toasted nuts. Full but mellow with initial impressions of salted caramel, freshly baked bread and a touch of honey. Mid-palate evolves into fresh minerality with some stone and flint characteristics. Back palate is refreshed with delicate notes of sea salt and a hint of white pepper. Mouthfeel is rich, well rounded and luscious. Long and salty/sweet finish with notes of baked bread, vanilla, and cream.